Thanks to Unique Melody and Micah (Glassmonkey – AudioPrimate Reviews) for organizing this review tour of the Mentor V3. As with this sort of shell, there is a substantial feel to the Mentor V3 – no cheap plastic here at all. The little bass knob has ridges so they can be adjusted easier, but I do feel an incremental adjustment (with each turn) might have been a good addition as the freedom can make it a bit tricky to match each shell – if you prefer a setting somewhere in the middle between on and off. 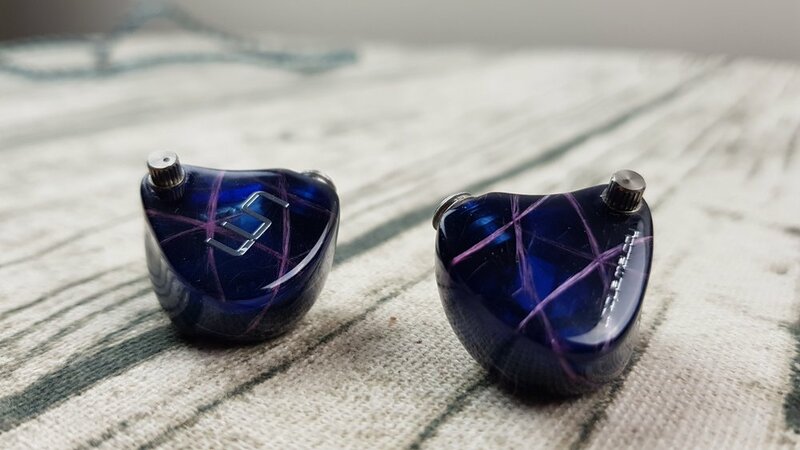 A quick word on aesthetics, I’ve always found it neat how some IEMs have intricate design work. The Mentor is no exception, although I wasn’t sure at first until I took a good look under my studio lighting. It has translucent ink blue shells with swirls of lilac in a web-like pattern. It’s not the flashiest IEM out there, but I find its demure nature quite the looker. The bass knobs are the most noticeable feature that the Mentor possesses – as they’re present right on the shells themselves. The premise isn’t unlike stuff I’ve found on full-sized headphones, you close off a tiny vent or leave it open to tune the bass a bit. However, I found the midrange to change in a manner I didn’t prefer when the vent was fully closed. It’s quite a minor adjustment, but I did feel that the IEM sounded more natural tonally with it left open – although you’ll lose a little bit of visceral bass impact. I don’t want to say the midrange was necessarily recessed, but it intruded on my favourite aspect of this IEM. It comes with three cables that are identical in look and feel, all with the proprietary 4-pin connectors that the Mentor V3 uses. However, they’re all terminated differently – one in a 4.4 balanced connection (the future, I’m told by many), one in a 3.5mm single-ended connection and one in a 2.5mm TRRS balanced connection. This ensures you have options for whatever portable source you have, as it has all bases covered. The actual feel of the cables was that they seemed a bit plastic-y and not as pliable as I would have liked – but they are in no ways low in quality. That being said, my biggest gripe is that these are, after all, proprietary cables and connectors. The reason for this probably their implementation of a braided cable that incorporates a full length of copper and silver wire – to be used interchangeably to suit the listener’s needs. I understand that there are those who will appreciate this feature, but it doesn’t supersede the ability to have easily-available aftermarket cables for personal options – in my humble opinion. Finally, you’ll get a bunch of Comply Premium Comfort Plus tips. The IEMs themselves are in a chrome case that doesn’t lend itself to any reasonable outdoor use or travel use as it is quite weighty. It’s more of a “put your IEMs away on a shelf” kind of container. The Mentor avoids one of the issues that I have had in the past with other balanced armature in-ear monitors – one of decay. 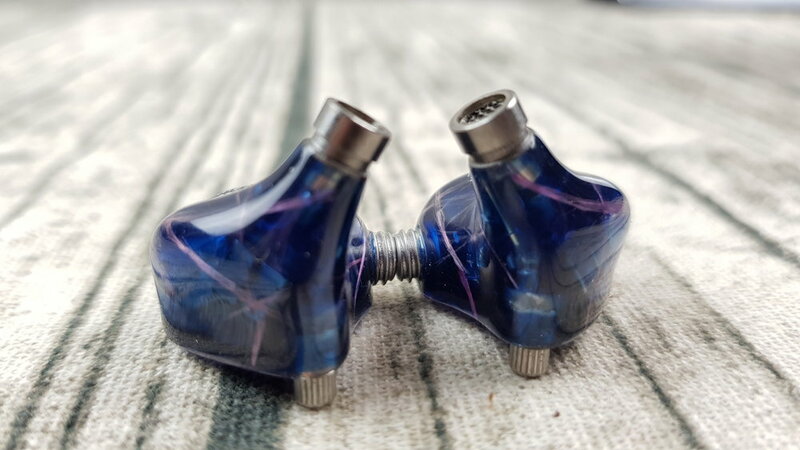 The abrupt decay in other IEMs that I’ve heard was something I found slightly difficult to overlook. Take, for example, cymbals in a jazz track such as Nefertiti by Miles Davis. The Mentor V3 manages to let each hit ring out to a desirable amount instead of choking it, leading to a more resolving and natural feeling. The cymbal hits don’t feel too thin either, the bell and chime are very much present and whole. The soundstage width is very wide, specifically with the little knob relieved all the way. Imaging is decent but the tracks will give a somewhat hard-panned sense to some due in part to how wide the soundstage is. So, in essence, you’ll get a lot of attention being given to the far left channel, far right channel and the centre-stage. Balanced armature timbre is something I’ve struggled with in the past, as someone who is primarily a listener of full-sized dynamic-driver headphones. However, I find the Mentor does succeed in reproducing instruments with a certain lifelike quality. This is highly dependent on source however, and I found that the Hiby R6’s ability to reproduce pianos well was not lost on the Mentor – rather enhanced if you ask me. Acoustic guitars may seem a little thin, however, as the Mentor does not particularly emphasize the lower-midrange as you would believe after hearing that it is the more “musical” counterpart to the Unique Melody Mason V3 – which is supposedly tuned to be more of a reference sound. I found the bass to have a very speedy, snakelike quality to it that was very apparent with fast playing and movements across a bass guitar’s fretboard. That being said, the impact of kick drums and the like did not hold much weight compared to, I would imagine, a dynamic-driver. It’s very clean to my ears however, and extends decently low. The extension can be very slightly helped by fastening the notches shut, but I found any increase to not really warrant the decrease in midrange capabilities that accompanied doing so. The attack and decay are well done too, with an abrupt introduction and a soft lingering afterwards that does not overstay its welcome – but this is no basshead IEM as the weight of the region overall is quite controlled and somewhat subdued. I have not measured these IEMs, so I couldn’t tell you if the lower-midrange is indeed dipped or not. I do hear some thinness with acoustic guitars, but at the same time I hear a good amount of body with male vocals – so I’m not quite sure. The midrange, overall, is my favourite part of this IEM. Wanting to test its clarity during intensity, I threw on Flying Whales by Gojira and took in the experience. The growled vocals stood decently above a mix that was blazing on all fronts. The distorted electric guitars also had a good amount of body and chug. They stood, well separated, in their own camps on the far left and far right channel and didn’t let up at the mix got more and more hectic. A switch to the better mixed and mastered Enter Sandman by Metallica proved further that this is a very capable IEM for rock and metal music. One reason for this is the amount of separation between tracks that the Mentor is able to reveal. Again, I must preface this by saying that it’s very source dependent in this regard – my Aune M1S wasn’t nearly as adept at bringing this about as the Hiby R6 (which, in turn, has its own problems but more on that later). Simply put, it presents the tracks in a way that lets listeners hear them in a more distinct fashion than, for example, an IEM in a lower price-range and with the capability of my Noble Sage does. It was the first aspect of the Mentor V3 that I noticed upon initial listen – in the chorus of Dreams by Fleetwood Mac and just how full and defined the vocal tracks sounded. The treble, for me, is ideal – and the trickiest part to assess in my capacity as a still inexperienced balanced armature IEM reviewer. 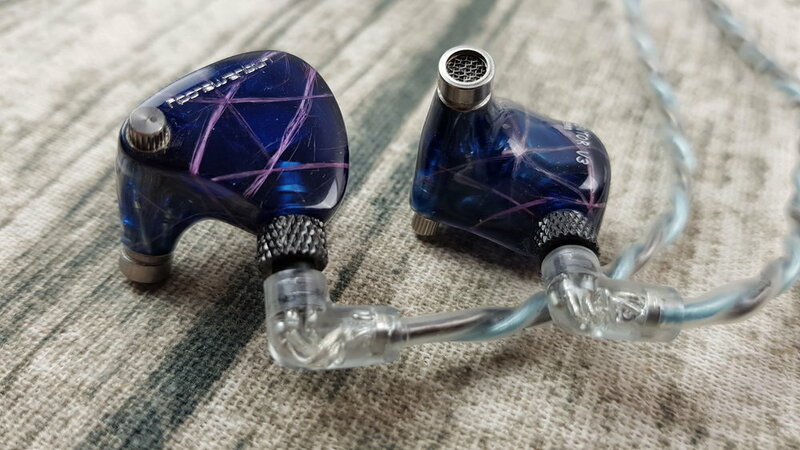 The reason for this is that it doesn’t bother me, and a lot of high-end reference IEMs do – they sound sharp to me and simply too hot in the region. That being said, this isn’t a dark IEM at all – there’s a good amount of snap in snare hits and ringing in the higher percussive details. It doesn’t feel choked, but I could see a fan of the sort of “reference” IEMs (that I generally don’t prefer) finding that there’s a slight roll-off in the high treble – making it less airy than they would prefer. This is all assumption on my part. Moving on, what I like about the treble is the ability to clearly reproduce defined sounds like fret buzz and slides, cymbal crashes and chimes and high synth parts. That being said, it is still decently revealing of source material – in the manner that it will sometimes veer towards harshness depending on what you are listening to and its quality of recording, mixing and mastering. As mentioned before, I do appreciate that there isn’t an abrupt decay in this region would have choked snare hits and cymbal crashes. Its ability to reproduce the entire bell sound in Moonchild by King Crimson and decay it naturally is a pretty big positive mark in my book. It’s one of my favourite tracks to listen to on the Mentor simply because of how all the percussion sounds. The final point I’d like to make in describing the sound of the Mentor V3 is that it has a good amount of texture. Eddie Hazel’s impassioned guitar solo in Funkadelic’s Maggot Brain is a good indication of this, as the abrasive wail is accurately reproduced and not overly smoothed or toned down at all. 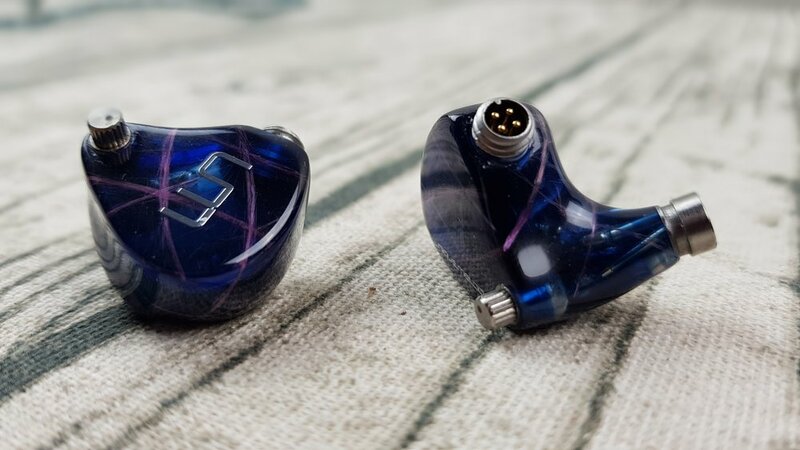 There is some grit in this IEM which I do enjoy as the opposite would make for a boring, by the numbers experience – but I’m not sure if those looking for a mellower experience would agree entirely. The two digital-audio players that I currently possess sounded very distinct on the Mentor, more so than any other IEM in my possession. DAP #1 is the Aune M1S, a capable product in the $100-$150 range that is an upgrade over most smartphones. It’s still lacking in detail retrieval, however, and has a boxed in sound when compared to higher-end offerings – with lackluster separation and low-level detail retrieval. DAP #2 is the Hiby R6, which checks all the boxes that the Aune stumbles at – but it has an output impedance of 10 ohms. I haven’t quite heard this affect other IEMs that I’ve tried in the past (the only balanced armature product I’ve tried with it is the dual-BA Noble Sage), but it certainly thins out the bass slightly on the Mentor V3. All other regions are very well defined and a good match, particularly in detail retrieval, staging and separation. The Aune presents the full bass capabilities, but can’t match the Hiby in the other areas. Ultimately, if you are someone with a good source – you will definitely appreciate it with the Mentor V3. At $2099, the Mentor V3 is the most expensive in-ear monitor that I’ve had an extended period of time with to actually listen to the capabilities of items offered in this price range. My takeaway is that there are indeed some, to me anyway, large improvements over my humble Noble Sage. The nuance to the sound, the midrange reproduction and the comfortable highs made this an easy but detailed listen to me. The gripes I have with balanced-armature timbre were dulled quite a bit as well. That being said, I’m not the audience for this IEM – as a primarily full-sized headphones guy. I do need more time with higher end in-ear monitors to really gain context into how this sits on the market, because I’m sad to say that I can’t give you that answer currently. All I know is that it sounded good to me for the reasons stated.